S/Y "Tatt av vinden" is our boat. The name means "Gone with the Wind". For us that means to enjoy the cruising life as much as we can. We love to visit new places, meet new people and make new friends. We shall ship "Tatt av vinden" from Auckland to Southampton in England, and then sail home from there. We plan to return home around midsummer 2019. 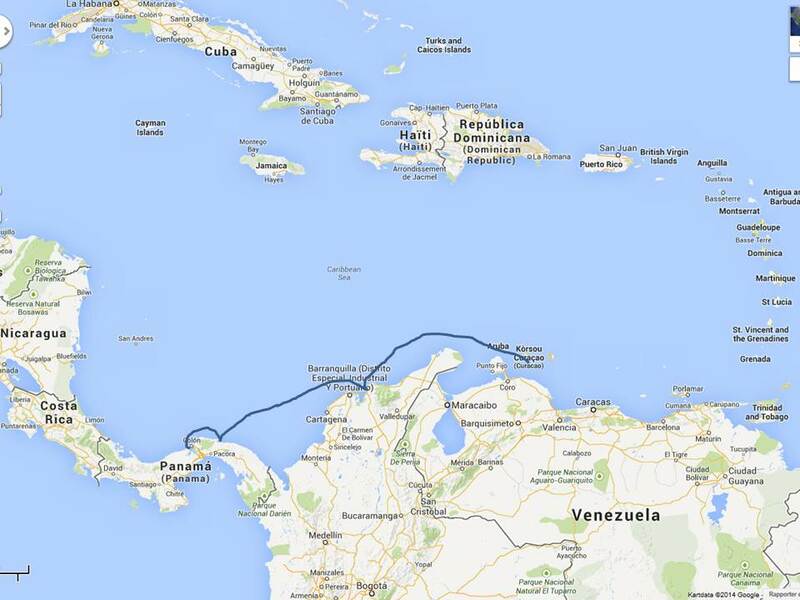 This is the big jump, we plan to transit the Panama canal and sail to the south seas and New Zealand. 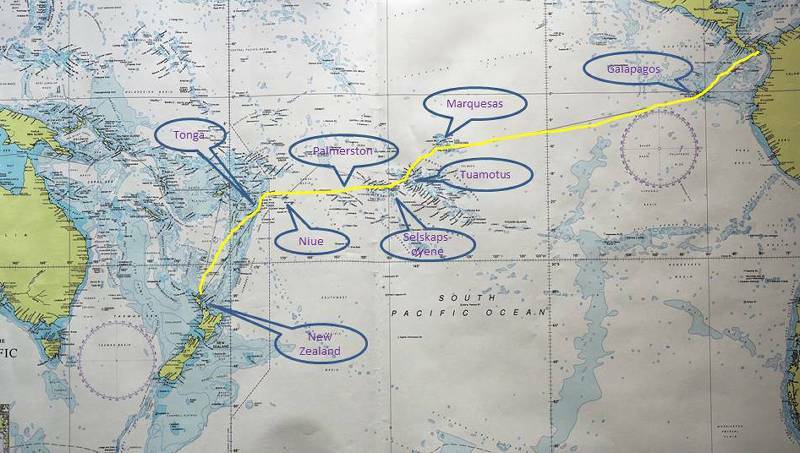 We plan to follow the Coconut Milk Run: Galapagos - Marquesas - Tuamotus - Society islands - Cook - Niue - Tonga - New Zealand. We plan to leave Panama in March. For the first leg (to Galapagos) Gregor will join us. For the second leg (from Galapagos to Society Islands) Eva's sister, Anne Sofie will join us. 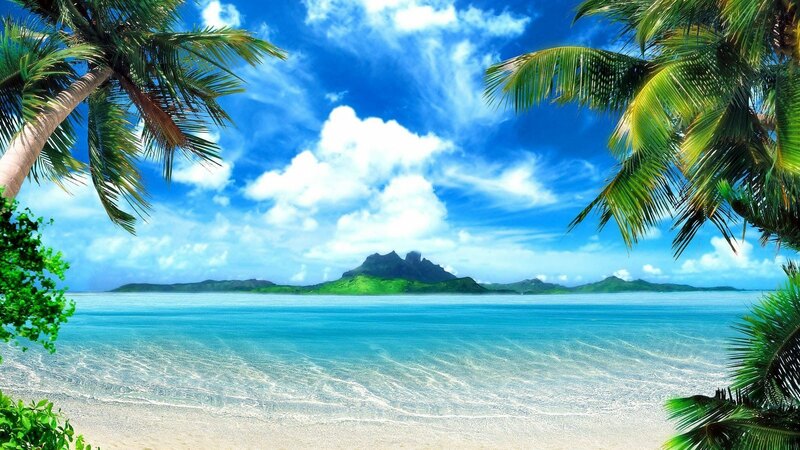 From Bora Bora to New Zealand Mia will join us. In 2018 we left Panama, and are currently in French Polynesia. Then it was Niue and Tonga. In 2017 we had several issues with the engine, and the time ran out for sailing to Providencia. It seems that we shall never come there... After we had sorted out the engine problems in Shelter Bay, we sailed to Guna Yala and visited some places along the way. In 2016 Providencia was "plan A". But we changed our mind and sailed to Bocas del Toro. (Mouths of the bull.) And we did not regret the choice. We spent a nice two weeks in Bocas del Toro, and the rest of the time in Shelter Bay. In January 2014 we cruised the Lesser Antilles. In February and the first week of March we traveled South America. After that we cruised the Lesser Antilles and and the Spanish Virgins in Puerto Rico. Then to Bonaire and Curacao. In 2015 we sailed to Santa Marta, Colombia. After four weeks in Santa Marta we sailed to Guna Yala (San Blas, Panama). 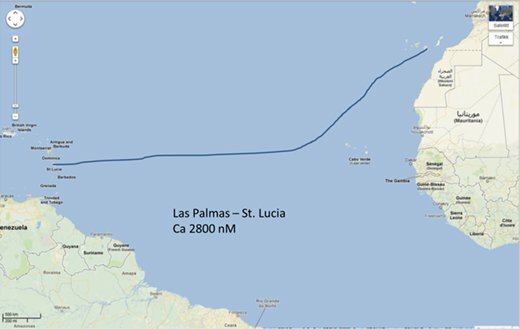 In 2013 we sailed "Tatt av vinden" from Oslo to Las Palmas and crossed the Atlantic to St.Lucia, where we arrived in December. This was our second ARC and the third crossing of the Atlantic. 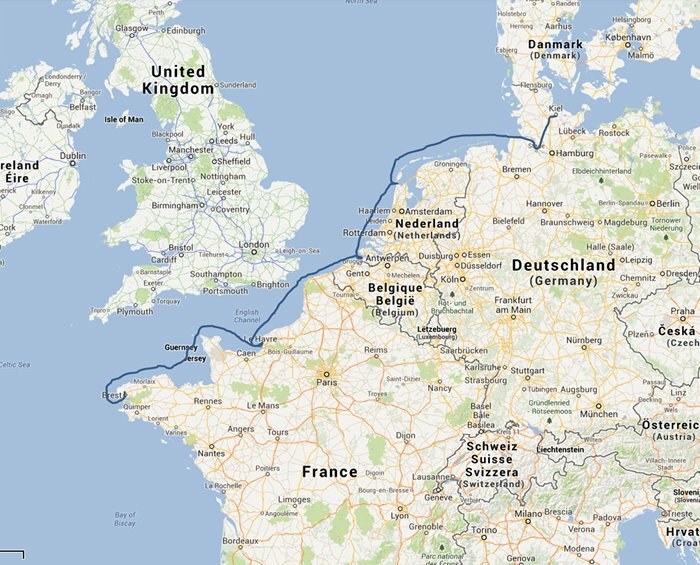 In 2008 - 2009 we sailed from Oslo, down to the Mediterranian, to mainland Spain, the Baleares, Sardinia, and Tunesia. 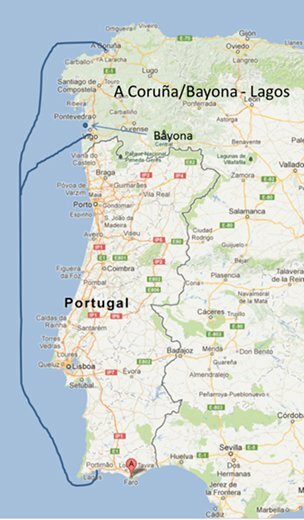 Further to Gibraltar, the Canaries, and the Lesser Antilles before sailing home to Oslo via the Azores, France, Belgium, Netherlands, Germany, Denmark and Sweden. We plan to follow the plan we originally had for 2016. 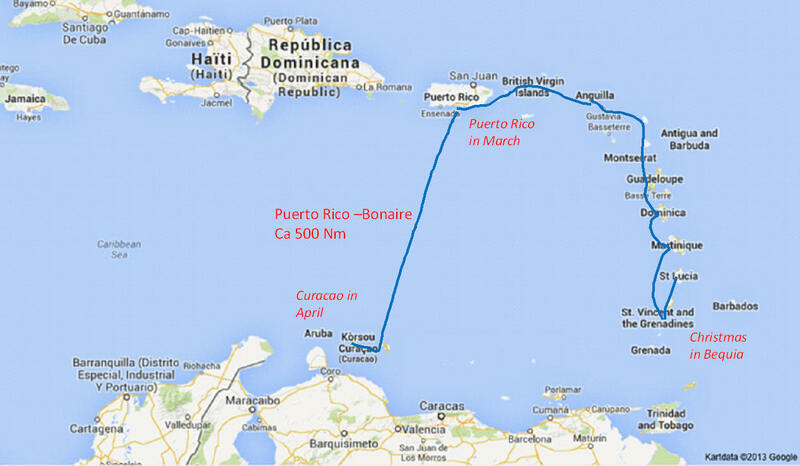 The idea is to go to Portobelo first, maybe to isla Linton, then sail to Providencia. We have been to Portobelo before, but just one day, and it would be nice to see more of the town with its rich history. Portobelo or Isla Linton will also give us a better angle into the wind for the two - three days sailing to Providencia. We plan to sail from Shelter Bay in Colon, Panama to Isla Providencia - A Colombian island outside Nicaragua. Perhaps we shall visit some other places under way. 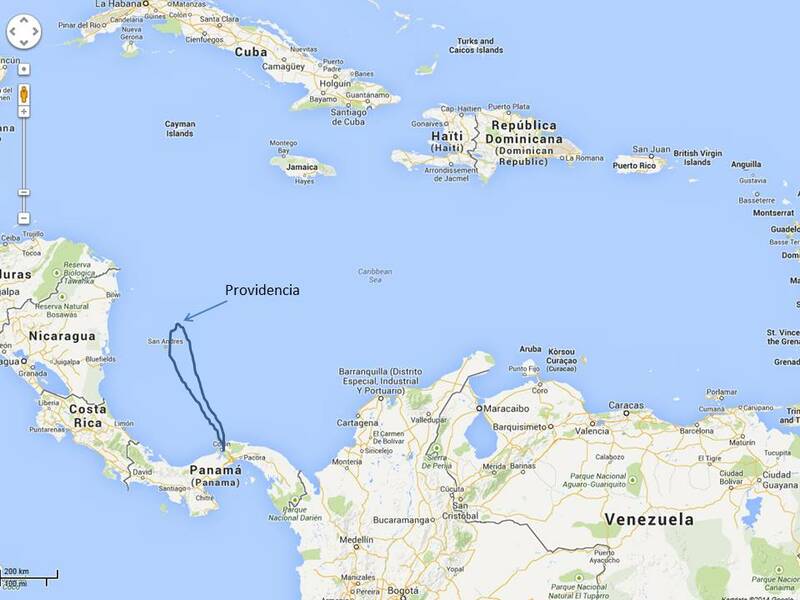 We plan to sail from Curacao to Colombia in December, maybe via Aruba. Sometime in January we plan for San Blas, Panama. In February we shall leave "Tatt av vinden" in Panama and go home util the season 2015 - 16. The plan is (almost) fixed for the rest of the year. 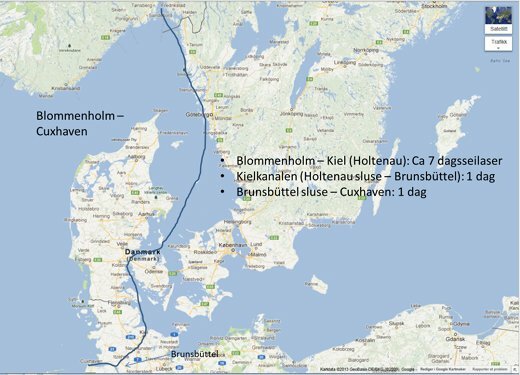 The first leg will be Oslo (Blommenholm) to Gothenburgh. Bjørn shall leave with Maria and Daniel as crew. 25. June. In Gothenburgh Eva will come during the week end. Then it is off for Denmark, Probably Anholt as a first stop. The through Kattegate to Kiel (Holtenau) were we'll enter the Kielkanal, or Nord-Ostsee Kanal, which is the official name. We followed this part of the plan to the full. In Brunsbüttel we go through the lock and then we shall be in Die Elbe, which further upstream floats through Hamburg, the old Hansestad, still an important port. Just where die Elbe meets the sea, in Deutche Bucht lies Cuxhaven with a good marina. There we shall wait for the right winds and the right tide to make a 24 hours sail down to Holland, probably den Helder as a first stop in Holland. We'll make our way along the Dutch coast and maybe stop in Breskens or in another port in Belgium. Then it is time to decide wether it shall be La France or England. Five years ago we headed for the soth coast of England, but ouside Dover Eva said that she preferred french wine to English beer. Bjørn replied, "the wind is good, we can cross back and be in Cherbourgh by tomorrow". And so we did. 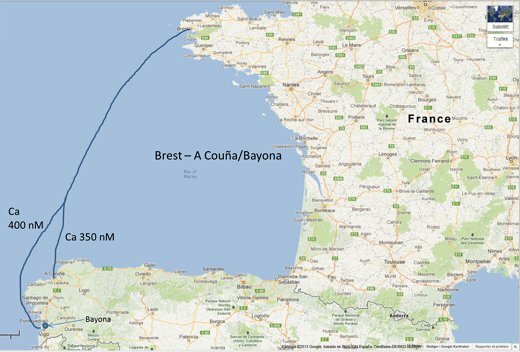 This time I think we shall go for La France, not because of the wine, but the distance to La Coruña and to Bayona in Spain is much shorter from Brest than from Falmouth. We'll do Biscaya in three days from there. Either Brest or northern Spain. Then Eva's holiday will come to en end, and it is time to leave the boat and go home for a while. Eva for the next three months. Bjørn for a couple of weeks. We did not go to Brest, just to Camaret sur Mer. This may be part of Bjørn and Eva's holydaytrip, or the first part of the next leg. The weather gods are holding the fate. We came in good time to La Coruña. There will be som stops in harbours en route. 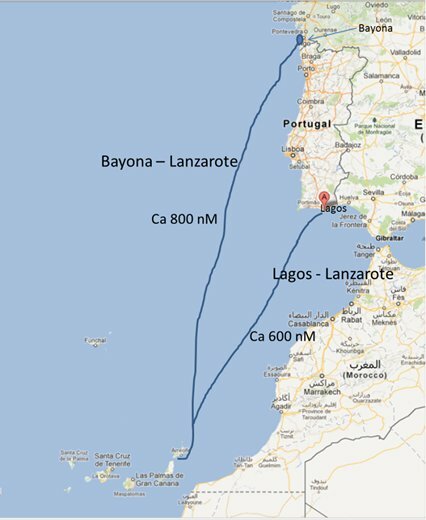 We have chosen the option of going form Lagos to Las Palmas. We shall choose the raditional route: South till the butter melts - then West. That means that we turn West when we are on about the same latitude as Cap Verde. There are some fixed points in our plans for the first season: Christmas in Bequia, Antigua in late January, when we shall have visitors. Sint Maarten in February, while we take a brake and go to Argentina and and to Rio de Janeiro. In Bonaire in April we shall again have visitors, and at the end of the month "Tatt av vinden" will be hauled out for the season in Curacao. We did not go to Bequia, because we had to do repairs in St.Lucia, and we came to Antigua earlier than we had intended. In Puerto Rico we just visited Culebra and Vieques, because we ran out of time.